+ Robert Johnston, professor of theology and culture and founder of the Brehm Center’s Reel Spirituality initiative, on the importance of cultivating an open posture to culture. 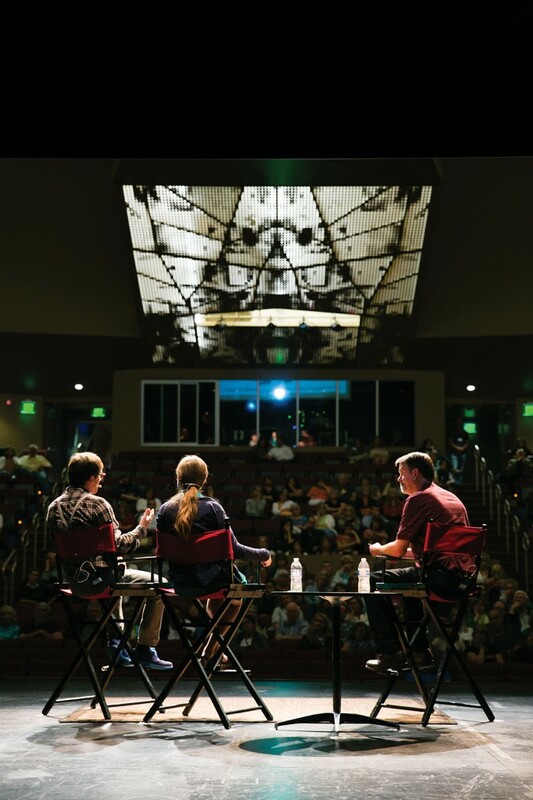 For nearly 15 years the Brehm Center’s Reel Spirituality initiative has been curating the conversation between film, faith, and culture. Screenings, panels, books, study guides, discussions, and filmmaking are part of ongoing life together. Read their extensive reviews and more. Watch more of Dr. Johnston’s reflections here. 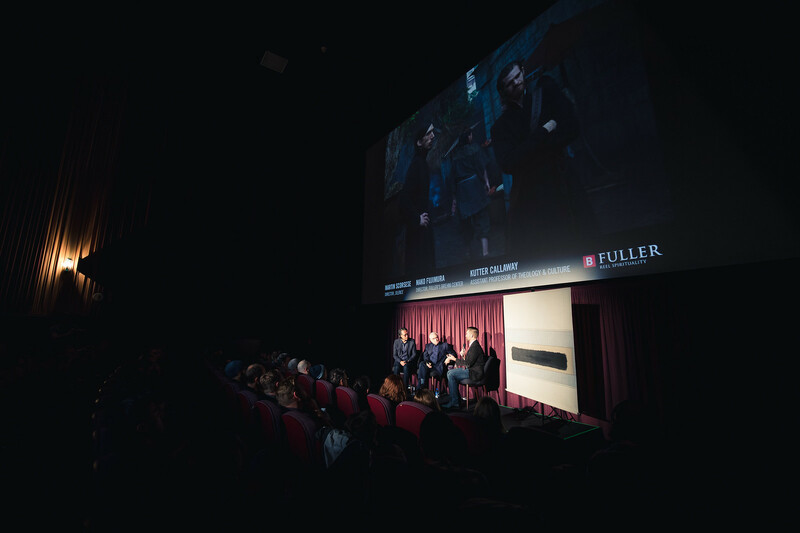 Pictured: a screening of Silence followed by a conversation with the filmmaker Martin Scorsese available here. 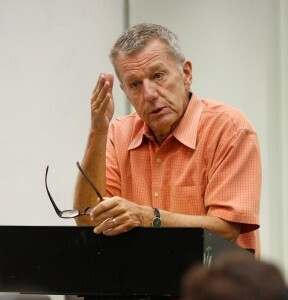 + Kutter Callaway, professor of theology and culture, from Watching TV Religiously: Television and Theology in Dialogue. 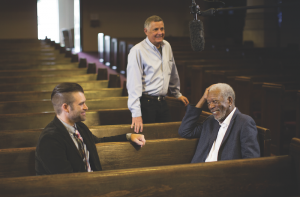 Callaway is pictured here in conversation with actor Morgan Freeman, as part of a television series that aired earlier this year on the National Geographic Channel. Watch the episode here. Listen to Kutter and screenwriter Dean Batali discuss television and theology in their podcast Televisual Theology. “We all have cinematic blind spots, films we haven’t seen that are famous and that have influenced so much of the cinema we love. Reel Spirituality podcast regulars Matt Aughtry, A. C. Neel, Jonathan Stoner, and I decided to correct at least one of those blind spots together by focusing on the films of Andrei Tarkovsky. For several nights we watched his greatest films together. Discussing them afterwards was among the most enriching group movie-watching experiences of our lives. + Elijah Davidson, co-director of Brehm Center’s Reel Spirituality initiative, reflecting on their living room film festivals and podcast. 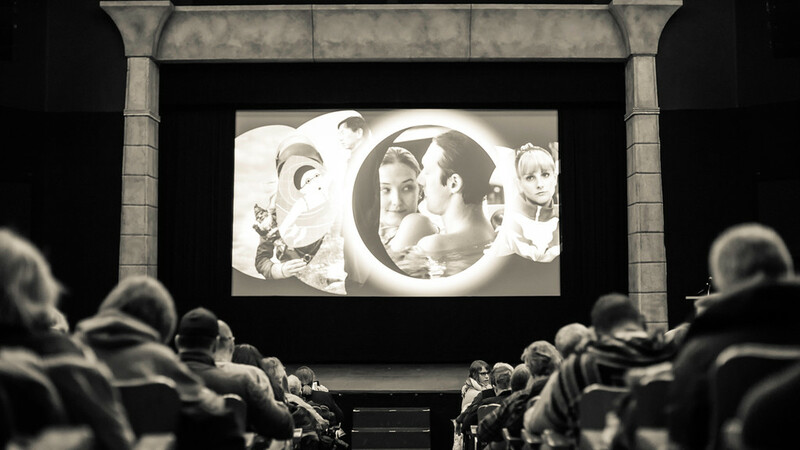 Pictured, a screening at the Brehm Center’s Sundance Film Festival immersion course. Read reviews from Elijah and a community of film critics here. + Bobette Buster, story consultant and writer, spoke at the 2013 Brehm Lectures “Gospel and Narrative.” Hear her reflect on storytelling with other speakers on the Reel Spirituality Podcast. 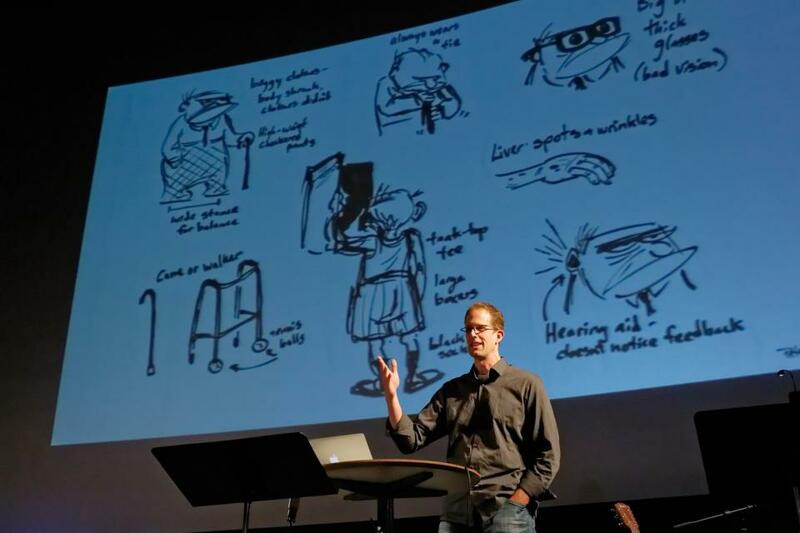 + Pixar’s Pete Docter, director of the animated film Up and Monsters, Inc, was a keynote speaker for “Preaching In A Visual Age,” a Brehm Center conference on preaching, film, and the visual arts. Read highlights from his interview below and watch more here. Why do stories matter to human beings? I think people are captivated by story because that’s the way we speak to one another. How many times have you sat bored in class or a church while the speaker shares factual information but as soon as they start saying, “You know, my sister-in-law got in an accident at the grocery store . . .” we immediately sit forward and feel connected. With stories, we become in tune with the experience they’re relating, and that is just hardwired into our brains. What is the relationship between faith and stories? Stories get to that connection that we all share between each other, between ourselves and our family, and between us and the Creator. I think Christianity as a religion recognizes the importance of that connection between people. At the heart of it, there’s still some mystery that only God knows. That is what stories can touch; when you have a really good story, it’s reaching for that unknown. This is what art does: it takes something beyond words—something that you can talk around but can’t quite grab onto with words—and speaks about that elusive nature of what it is to be human. How should films tell the truth? As we’re creating our films, we’re always looking for some sort of theme. It’s easy to think we’re looking for a moralistic message, but we don’t intend for it to be a lecture. Films are supposed to be a reflection on the world we see as people. Whether the characters are cars or monsters or insects, I’m always trying to find what it is about my life that if I saw it on the screen I’d recognize it like looking in a mirror. I see it and say, “That is truth. That is what life is about,” and I think that’s why people go to the movies. Obviously you go to be entertained, but the films that really stick with you are the ones that speak about what it is to be alive. That is what I’m looking for in the work I do. + Lauralee Farrer, Fuller’s Chief Creative and film director. Learn more about her work at her film company Burning Heart Productions. When Mark Labberton was named the fifth president of Fuller, he asked Chief Creative Lauralee Farrer, then artist in residence at Fuller’s Brehm Center for Worship, Theology, and the Arts, to screen a portion of Praying the Hours on the eve of his inauguration ceremony. 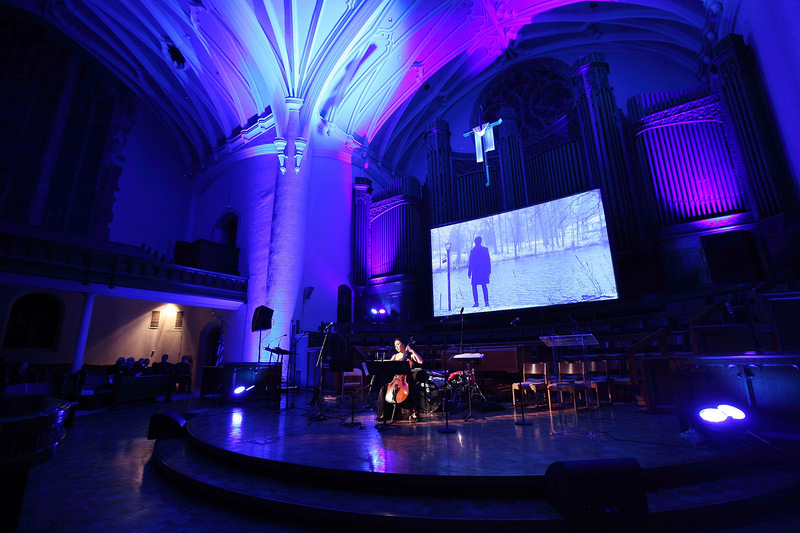 On this momentous occasion for Fuller, an evening of film and prayer and music and spoken liturgy gave a fresh view on the ancient discipline of the hours of prayer, ushering the audience into thoughtful worship together. The nearly 1,000 attendees heard many voices—most of whom were part of the Fuller community of students, alumni, staff, faculty, and administrators who read from Scripture, recited contemporary poems, and spoke prayers both ancient and new. The unconventional liturgy that was intermingled throughout the service led to the focal point of the film screening. It was evidence of the new administration’s commitment to an abundant reception to the arts. + Will Stoller Lee (far right), the director of Fuller Colorado, hosts a question and answer panel with filmmakers James Duff and Julia Morrison of Hank and Asha, screened as part of the Windrider Bay Area film festival. 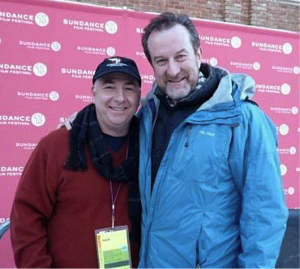 + John Priddy (MAGL ’05), founder of the Windrider Forum and Ralph Winter, filmmaker and adjunct professor, at the Sundance Film Festival immersion course. + Avril Speaks (MAT ’14), on the power of film to bring awareness and change. 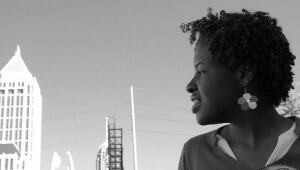 Read her interview with Caleb Campbell on religion and race here.